The Specialty Coffee Association of America (SCAA) is a non-profit organization that has the main goal of defining coffee standards. Therefore, if the coffee maker comes with an approval from the SCAA, this can be seen as a right to brag. This means that it has surpassed the highest standards, and hence, you can expect nothing but the best to satisfy your caffeine fix. With the abundance of options that you have for SCAA Certified Coffee Makers, it's a difficult choice on which one should you buy? This is a question that is difficult to answer. Nonetheless, in the rest of this post, we will help you out by quickly discussing some of the top options that you might want to take into consideration. If you are having a hard time deciding which one to choose, we will make your life easy. Keep an eye on the five products that I mention below and you can make a decision that your certainly will not regret! 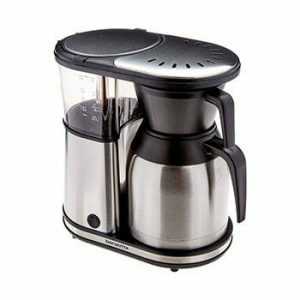 There are many things to like about this coffee maker, but one that I love the most is its simplicity. Are you too lazy to prepare your own coffee? This product has got you covered. It has a one-touch operation to simplify its use. The best thing is that you will have a consistently good cup of coffee every time that it is used. 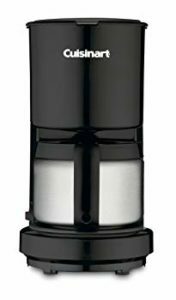 Looking at its features, one that is most notable is the wide design of the showerhead, which also sets it apart from most of its competitors. This allows water to be distributed evenly on the coffee grounds. With this, extraction will be uniform. For those who do not have the patience to wait for a long time before their coffee is ready, this product also offers the perfect solution. There is a 1560-watt heater, which is basically the reason why it is going to heat the water in no time and it won’t take long before your drink is ready to be enjoyed! Lastly, I also loved the tempered glass construction of the carafe. This is not only long-lasting, but this also helps to retain the heat of your drink. Even after a while, your caffeine fix will remain hot! 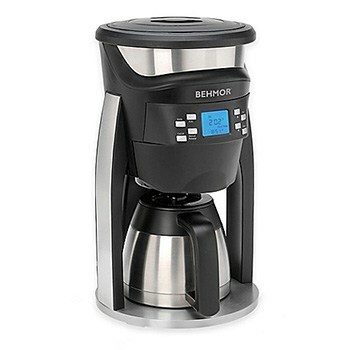 Similar to the coffee maker mentioned above, this will also be a great choice if you hate complications. The controls are not digital, which might make it obsolete. This, however, is a good thing since it is easy to operate. Even if you are a beginner, there is no need to worry. There is no need for guesswork! Each step of the brewing process will be shown, from the time the water is heated all the way to steeping. 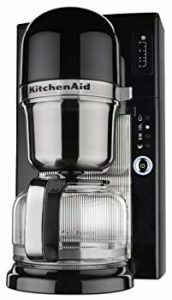 It also has one-touch brewing, which makes it user-friendly. Another feature that you will find impressive is the Advanced Heating Technology. This is an innovation that allows water to be heated at an optimal range, making sure that your coffee has the right temperature. 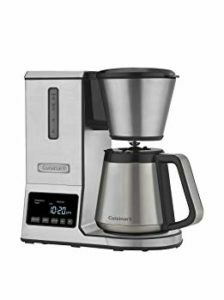 Lastly, it also has automated pour-over brewing technology. If you love manual pour overs, this technology will mimic the latter for a great-tasting coffee! Are you a tech-savvy user? 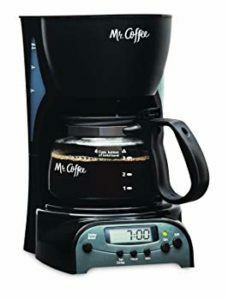 If yes, this is one SCAA-approved coffeemaker that I can recommend. The learning curve can be quite steep, but once you get used to it, everything else will be simple. As the user, you will have complete control of it, including the ability to have the temperature of the water customized based on your preferences. You will have the option to set the temperature anywhere from 190 to 210 degrees Fahrenheit. To add, there is also an altitude calibration so that you can adjust the setting for the best extraction process. In turn, this will produce coffee with optimal flavor. The quality of the thermal café is also worth noting. It is made in such a way that it retains the right temperature of the coffee. This means that you do not have to be in a rush to consume your drink after it is brewed. Another feature that I love is the pre-soak feature, which will allow the coffee to bloom before it is soaked. Wouldn’t it be nice if you can have control of the strength of the flavor of your drink? 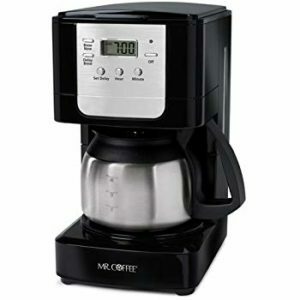 With the use of this coffee maker, you will be able to do so. The best part is that it can be possible with a simple touch of a button. You can choose from mild, medium, or bold, depending on what tickles your taste buds! Aside from being able to adjust the flavor, you can also control the temperature. You can choose from hot or extra hot. Another reason why this is a great option is the presence of a number of programmable features. 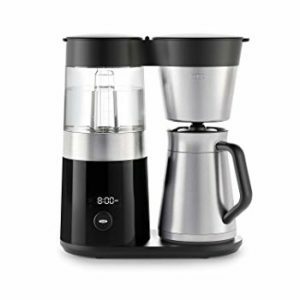 This means that you can prepare your coffee the way you want it to be. There is a 24-hour programmable timer, as well as a self-cleaning feature. You can choose from two versions of the product. One has a glass carafe while the other has a thermal carafe. Regardless of which you choose, they can maintain the heat of the water. Plus, they have a well-designed handle that will make it easy to pour your coffee. It is frustrating to have a coffeemaker that has complicated features. With that, this is the perfect alternative as simplicity is one of its best assets. It has an intuitive interface that is going to simplify its use. No need to be an expert to prepare the best cup of coffee all the time! To make it simple, there is a single button that can be used for making several adjustments to customize your drink. From temperature to time to volume, the settings can be personalized. Looking at the technologies incorporated into the product, one that is impressive is the microprocessor-controlled brew cycle. With the latter, it can make coffee with the same taste to one that is prepared using the pour-over method. Lastly, there is a rainmaker showerhead. It comes with a hole pattern that will result in the even distribution of water on the coffee grounds. This allows flavor to be fully-extracted. As it has been mentioned in the introductory paragraph of this buying guide, SCAA stands for the Specialty Coffee Association of America. It is an organization that sets the standards in gourmet coffee. They provide guidelines on how the beans should be roasted for a maximum flavor, as well as the right water to use. To add, they also evaluate coffeemakers and provide a certification to those that have passed their strict standards. 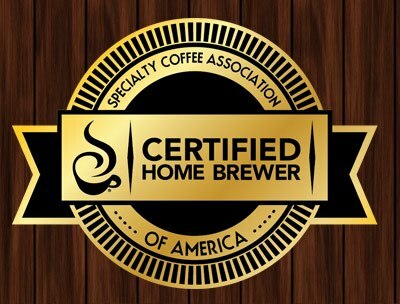 When looking for a coffee maker, purchase one that has SCAA certification. Chances are, it will be able to deliver performance that is unmatched. Coffee makers were subjected to a series of tests to make sure that it complies with specialty coffee standards. Some of the areas that are checked include brewing time, brewing temperature, extraction uniformity, coffee clarity, and coffee temperature. There are many pre-requisites for the coffeemaker to be certified. For instance, the temperature must be able to reach 197.6 Fahrenheit in one minute and should never be more than 204.8 degrees Fahrenheit. More so, the contact time between the water and the coffee should be four to eight minutes. Lastly, the carafe should maintain the coffee temperature at 176 to 185 degrees Fahrenheit. If there is one thing that is common among SCAA-approved coffee makers, it would be the fact that they are expensive. There is a reason why they have a steep price. They are designed in such a way that they are exceptional, as proven by the tests that they have passed. At the end of the day, you should not have hesitations to spend for such a product as it will make coffee with the best quality. Brewing Time: Based on the requirements set by the organization, for the coffee to taste great, one of the most important is to have the right contact time between the coffee grounds and the water. With this, the brewing time should be between four to eight minutes for the best outcomes. Brewing Temperature: On the other hand, when it comes to the temperature of coffee, the minimum that should be reached by the brewer is 92 degrees Celsius. Meanwhile, it should be no more than 96 degrees Celsius. 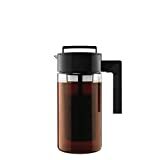 A Resistive Temperature Device must also be present in the coffee maker so that it will be able to regulate the proper temperature. Uniformity: During the process, the coffeemaker will also be tested several times to evaluate the quality of the drink that it is able to produce. In every test, the same results must be apparent to show that it can make consistently-great coffee. The uniformity of the extraction will also be evaluated. Beverage Clarity: One thing that can negatively affect the flavor of the coffee is the presence of excessive sediment, which can also provide the drink with a cloudy appearance. With this, to be approved by the SCAA, they also evaluate the quality of the coffee that is produced. For every 100 ml of coffee, the sediment must be less than 75 ml. Manual: To be approved, it is also a requirement that the manufacturer provides a comprehensive manual that gives a detailed guide on how to make the most out of the coffeemaker. It also includes suggestions on the right ratio of coffee and water to be used, as well as instructions for care and maintenance. 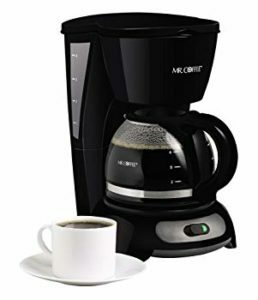 With all of the tests that a coffee maker has to undergo, when it final passes, there is no doubt that it has the right to claim that it is indeed one of the best that you will ever find. This also gives them the right to charge a premium price. 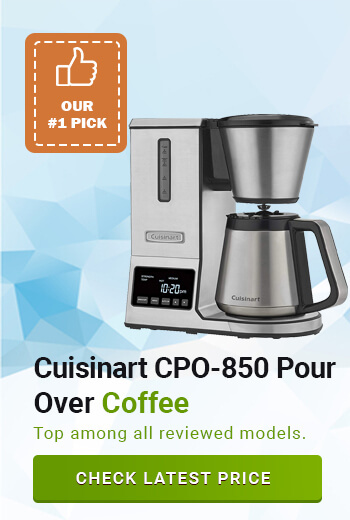 It is not enough that you just choose the right coffee maker. This is not a guarantee that you will make a good-tasting beverage. This section will tackle some important tips to keep in mind. Among others, one of the most important is to make sure that you have fresh coffee. Avoid roasting or grinding the coffee unless you are ready to brew. This will prevent the flavor and aroma from being lost. The choice of water will also affect the quality of the coffee that you will brew. With this, you should use only distilled water. It has pure hydrogen and oxygen, which will lead to having an unadulterated taste of coffee. As part of the steps in brewing coffee, you should also provide enough time for the grounds to bloom. This is the method of pre-infusion. Blooming should take about 40 seconds before the coffee is brewed. The SCAA certified coffee makers mentioned above will allow you to make high-quality drinks from the comfort of your own home. 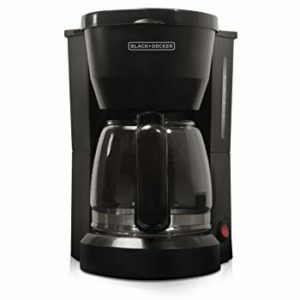 They are the gold standard when it comes to coffee makers! Why would you spend on overpriced drinks in overrated coffee shops when you can make them on your own at a fraction of a cost?